The world premiere of The Boys, Amazon Prime’s gritty, irreverent take down of the superhero genre, is set for the 2019 Tribeca Film Festival in NYC. The screening is scheduled for April 29, 2019 at 8:45pm, and will be followed by a conversation with Co-Executive Producer/Showrunner Eric Kripke and show stars Karl Urban, Elisabeth Shue, Chase Crawford, Karen Fukuhara, Jack Quaid, Erin Moriarty, Jessie T. Usher, Laz Alonso, and Antony Starr. 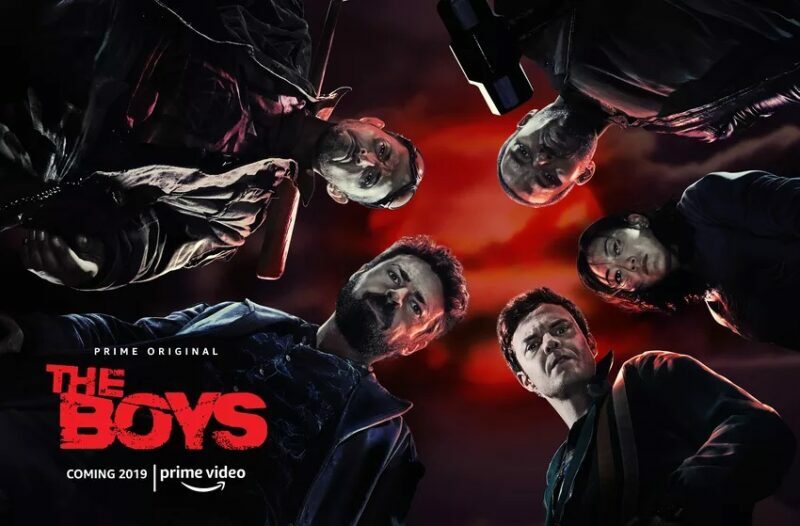 The Boys is based on a very adult comic series created by Garth Ennis and Darick Robertson. It asks the question: what if superheroes abused their powers for personal gain? The Boys refers to a group of scrappy vigilantes who take down corrupt superheroes by any means necessary. It offers a biting critique of the abuses of power enabled by celebrity and politics. The Boys was adapted for the screen by Kripke, Seth Rogen, and Evan Goldberg. Rogen and Goldberg adapted another Ennis property, The Preacher, which is currently on AMC. The release date for The Boys is listed as ‘Summer of 2019’ on the show’s official Twitter Account. Rebekah Rodriguez-Lynn is a Chicana writer, activist, and geek. Her lesbian fiction short story Holding Out for a Hero was included in the anthology Fandom to Fantasy. Her work has also appeared in The Establishment, The Huffington Post, and The Geeky Girls' Guide to Life. When not at work, Rebekah can be found at nerd conventions or on her couch rewatching Buffy. Rebekah lives in Southern California with her son and her rescue pups Cordelia Chase and Sammy Winchester. Find her work at rebekahrodriguezlynn.com, and on twitter @rmaxlynn. Next story Interview: Paul Carella Talks Music, Performances, Working with Jason Manns and More!